Thriller Subgenres: What do they all have in common? Feeling bored, confused or constrained by the old paradigms? Yet you’d like to write a tightly structured thriller that sells? You’ve come to the right place! 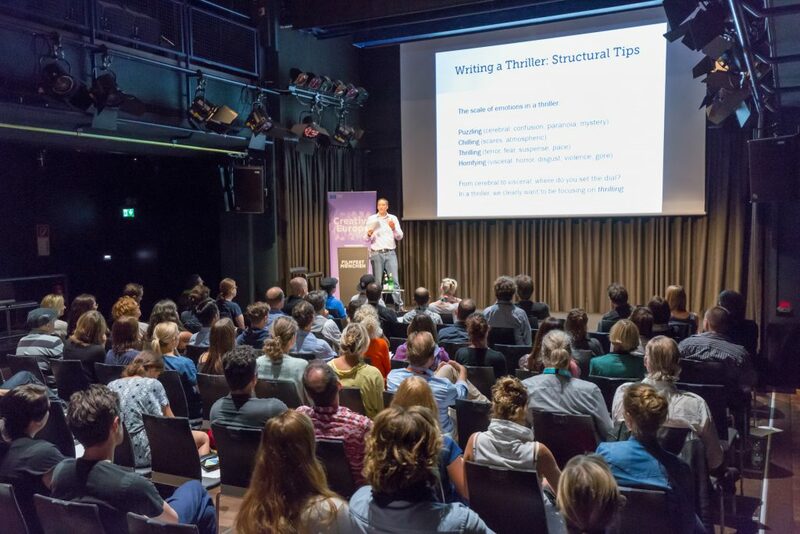 Based on the innovative Story-Type Method®, this two-day workshop explores essential tools for developing a successful thriller, either for Film or TV. For example, we'll explain how Maslow’s Hierarchy of Needs applies to thrillers specifically. We’ll explore the many sub-genres, as well as one of the most important aspects of thriller writing, which is the management of information / audience POV through the use of mystery, surprise and dramatic irony. To write a great thriller, it’s essential to be aware of the difference between a whodunit and a suspense story. We’ll also discuss Cold Starts and Encore Twists, which are often used in this popular genre. From creating edge-of-the-seat tension to crafting a satisfying ending, your thriller writing skills will greatly improve with a clearer understanding of these tools. Using clips, examples and detailed case studies from successful thrillers such as Misery, Minority Report, Se7en, Gravity, The Silence of the Lambs, Taken, Falling Down, The Hand that Rocks the Cradle, Children of Men, The Fugitive, Hidden, Heat, Mute Witness, The Bourne Trilogy, Breakdown, Jaws, North by Northwest, Memento and many others, we’ll look at the storytelling tools and techniques needed to master this very popular genre. Would you like to bring your script development skills to the next level and give your thriller project a total makeover? This package will train creative producers, development execs, story editors and writer/directors working for the same independent production company, making sure that everyone in the team is on the same page and equipped with the best tools when discussing thrillers. A separate slate assessment service can be arranged (fee to be defined depending on the number of projects in development in the company). While the Thriller Workshop is very practical and allows the participants to focus on a specific project if they want to, there is no time during the workshop to discuss individual projects (except maybe briefly during the breaks!). "The Thriller Writing workshop I attended was extremely useful and Emmanuel gave us notes and advice that I will without a doubt revisit during the writing process. I would highly recommend attending his workshops."